The Huot Drill Bit Index holds up to 29 jobber length drill bits in fractional sizes 1/16" to 1/2" in 1/64" increments and is made in USA. The labeled storage holes provide quick identification and organization. The index is made of steel with an epoxy finish and has a snap-lock cover for durability and protection. Drill bits are not included. The index is 7 × 4 × 1.75 inches (H x W x D). (H is height, the vertical distance from lowest to highest point; W is width, the horizontal distance from left to right; D is depth, the horizontal distance from front to back. )Cutting tool organizers provide storage, organization, and quick size identification for drill bits, taps, and reamers. Organizer types include gauges, indexes (also called cases), dispenser cabinets, carts, towers, racks, and platforms.Huot manufactures cutting tool storage systems. The company, founded in 1926 and headquartered in St. Paul, MN, meets International Organization for Standardization (ISO) standard 9001. The Huot Combination Drill Bit Index holds 115 jobber length drill bits in fractional sizes 1/16" to 1/2" in 1/64" increments, letter sizes A to Z, and wire gauge sizes #1 to #60, and is made in USA. The labeled storage holes provide quick identification and organization. The index is made of steel with an epoxy finish and has a snap-lock cover for durability and protection. Drill bits are not included. 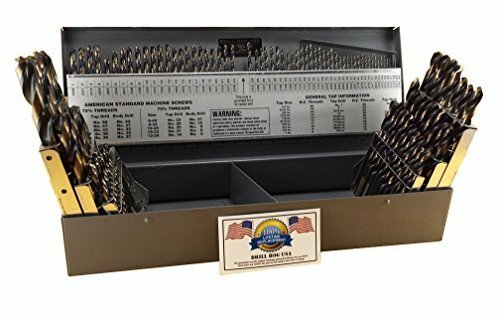 The index is 2.25 x 13.5 x 4.625 inches (H x W x D).Cutting tool organizers provide storage, organization, and quick size identification for drill bits, taps, and reamers. 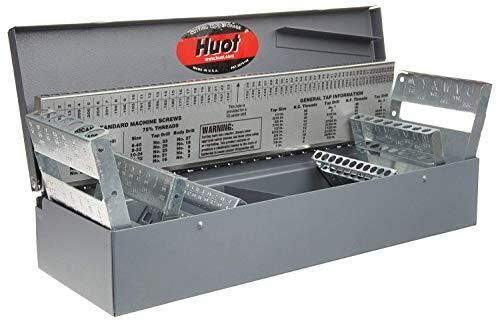 Organizer types include gauges, indexes (also called cases), dispenser cabinets, carts, towers, racks, and platforms.Huot manufactures cutting tool storage systems. The company, founded in 1926 and headquartered in St. Paul, MN, meets International Organization for Standardization (ISO) standard 9001. 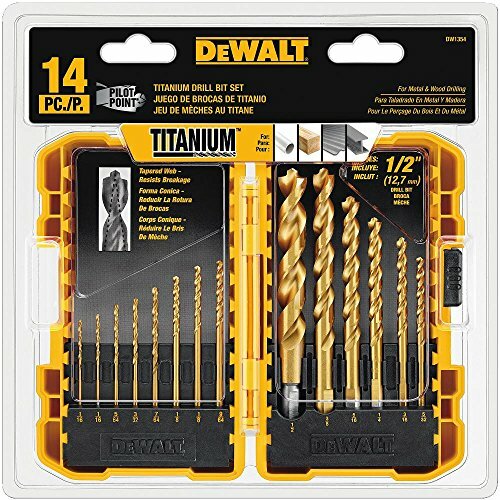 Includes: 29 Fractional Sizes from 1/16" to 1/2" (by 1/64ths) 1/16", 5/64", 3/32", 7/64", 1/8", 9/64", 5/32", 11/64", 3/16", 13/64", 7/32", 15/64", 1/4", 17/64", 9/32", 19/64", 5/16", 21/64", 11/32", 23/64", 3/8", 25/64", 13/32", 27/64", 7/16", 29/64", 15/32", 31/64", 1/2" Drill Hog is proud to release the newest technology in drill bits. These bits are made from HI-Molybdenum M7 Steel which has a melting point of 4753 Fahrenheit! These bits will drill through the toughest steel like truck frames, stainless steel, farm implements, spring steel, grade 8 bolts, and more! Proudly made in the USA. 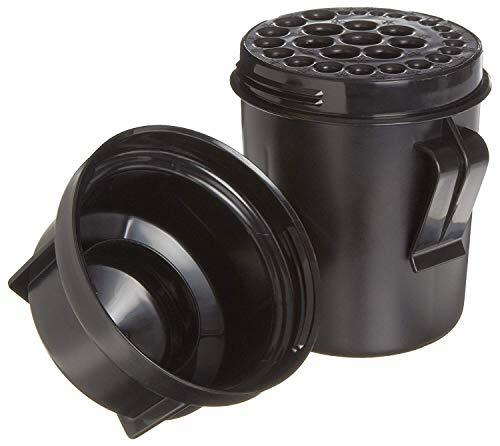 This index set includes the round black drill holder with a belt clip. The entire set can be clipped to your belt! This makes the entire set portable! You can take it up a ladder, wear it on the job site, or throw it in your glove box! You can access the entire set with one hand making it super easy to find the right bit! 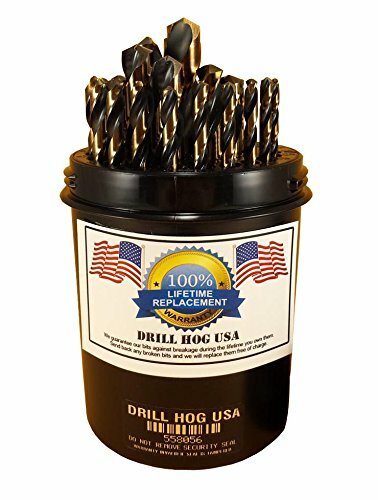 Drill Hog includes a Lifetime Warranty to the original purchaser. 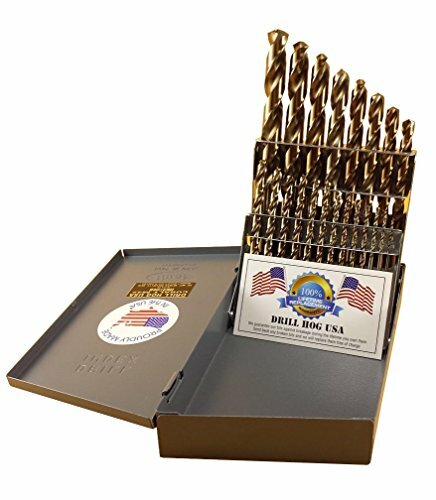 21 Pc Cobalt M42 Drill Bit Set 1/16"
Drill Hog is proud to release the newest technology in drill bits. These bits are made from Cobalt steel which has a melting point of 2723 Fahrenheit! These bits will drill through the toughest steel like truck frames, stainless steel, farm implements, spring steel, grade 8 bolts, and more! This set is known as the "Mechanics Set" because it contains the most popular sizes. Proudly made by Drill Hog USA. The Huot Bit Buddy for Jobber Length Drill Bits holds up to 29 jobber length drill bits in fractional sizes 1/16" to 1/2" in 1/64" increments and is made in USA. 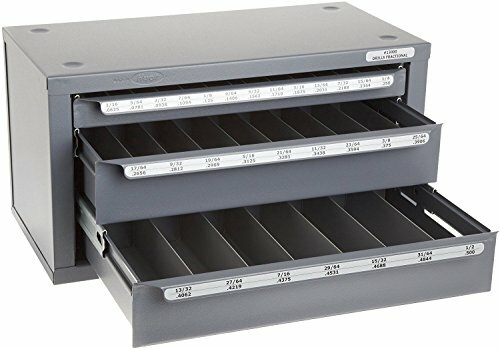 The labeled storage holes provide quick identification and organization. The cup-shaped Bit Buddy is made of plastic for water resistance and durability and has a clip and cover for portability and protection. Drill bits are not included. The Bit Buddy has a 3.75" diameter and a 6.5" height. 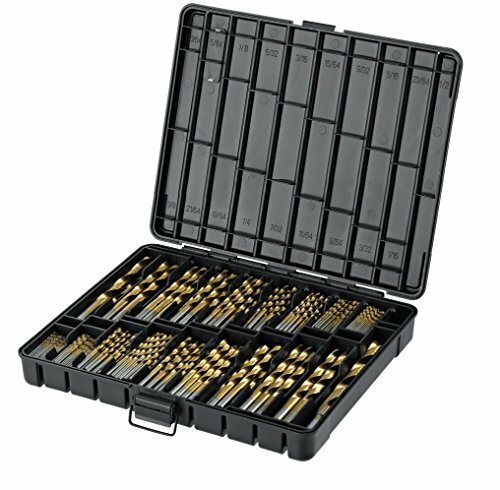 Cutting tool organizers provide storage, organization, and quick size identification for drill bits, taps, and reamers. Organizer types include gauges, indexes (also called cases), dispenser cabinets, carts, towers, racks, and platforms.Huot manufactures cutting tool storage systems. The company, founded in 1926 and headquartered in St. Paul, MN, meets International Organization for Standardization (ISO) standard 9001. 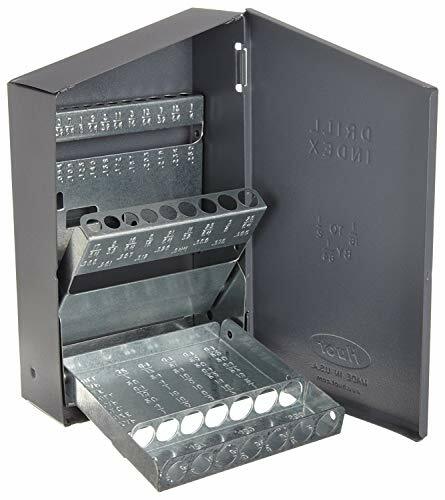 The Huot Three-Drawer Drill Bit Dispenser Cabinet holds one package each of jobber length drill bits in fractional sizes from 1/16" to 1/2" in 1/64" increments and is made in USA. The labeled compartments provide quick identification and organization. The cabinet is made of steel with an epoxy finish for durability and protection and can be stacked with other Huot dispenser cabinets. Drill bits are not included. The cabinet is 7.75 × 14.625 x 7.375 inches (H x W x D). (H is height, the vertical distance from lowest to highest point; W is width, the horizontal distance from left to right; D is depth, the horizontal distance from front to back. )Cutting tool organizers provide storage, organization, and quick size identification for drill bits, taps, and reamers. Organizer types include gauges, indexes (also called cases), dispenser cabinets, carts, towers, racks, and platforms.Huot manufactures cutting tool storage systems. The company, founded in 1926 and headquartered in St. Paul, MN, meets International Organization for Standardization (ISO) standard 9001. 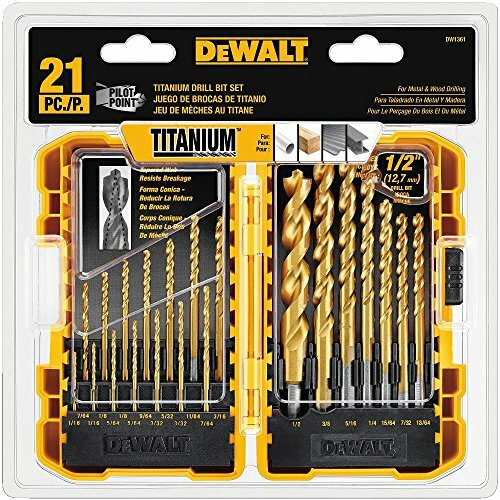 Compare prices on Drill Bit Index at LiveSaler.com – use promo codes and coupons for best offers and deals. We work hard to get you amazing deals and collect all avail hot offers online and represent it in one place for the customers. Now our visitors can leverage benefits of big brands and heavy discounts available for that day and for famous brands. We try to makes comparison shopping easy with Product Reviews, Merchant Ratings, Deal Alerts & Coupons. Find Deals, Compare Prices, Read Reviews & Save Money.